This final episode wasn’t really too much…it just felt like an epilogue, I guess. There’s just something off about the philosophical statements that Magata tries to make in this series. To me, it feels like she’s “almost there” with something somewhat deep, but not quite. For example, when she said “there’s no one that fears death”, my immediate response was “okay, maybe…explain yourself”. But then she immediately lost me when she follows up by saying that no one would fear death if there were no suffering. Well, of course you would…we don’t fear death because we fear the pain it would cause us. If there were truly a unique suffering to death, how would we even know enough about it to fear it? I personally fear the end to action that comes with death. I’d like to keep doing…things. Granted, she could be talking about some complicated philosophical death, in which case I’m probably not qualified to comment…but that was my immediate reaction. As a whole, I feel like this series was pretty weak as a mystery. I didn’t really spend too much of my effort speculating and such…maybe I just didn’t feel as invested in it. I’d probably put the show on the more interesting side of the series I’ve seen in this season, but I don’t think it would be too close to the top. It just seemed mostly mellow in general. The ending also seemed like it was getting a bit too lazy. The chronology of Magata’s actions on the roof just don’t completely add up. For example, there is a scene where she’s shown coming out of the elevator and stabbing the director, but there is another scene that shows her coming out of the elevator with a living director. Anyway, the first series of the season ending…let’s see how the rest go. 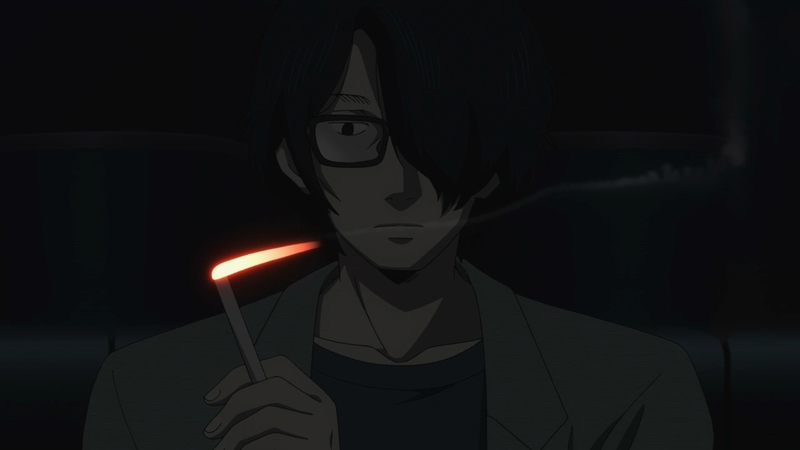 Subete ga F ni Naru Episode 10: The culprit is here! This week’s episode finally lays out the mystery for us. Like I said last week, the main thing I was looking for this week was motive and they did a good job of laying it all out. I liked that they used the conversation at the beginning of the series between Moe and “Magata Shiki” to explain how everything started. 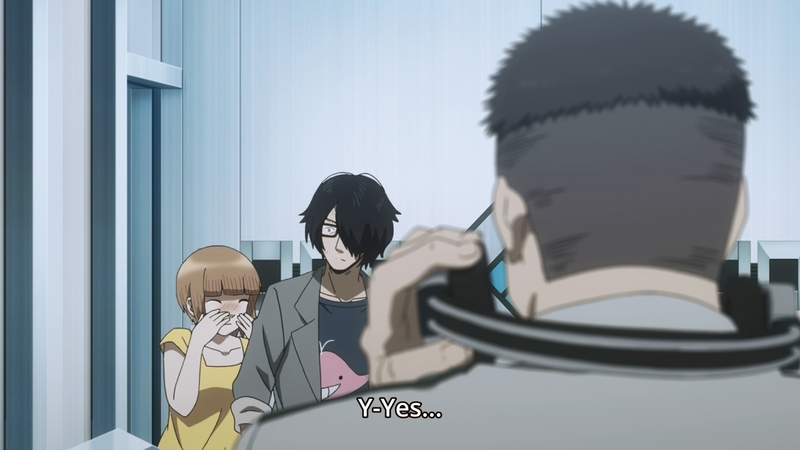 It was an interesting contrast this week…most of the episode was spent going over how brilliant Magata’s plan was, but on the other hand, an entire 7-year plan was disrupted by a single question. I’m actually a little surprised that my guess about Magata disguising herself as her “sister” was correct. She seemed so obviously suspicious that I was willing to write her off as innocent…but I did acknowledge last week that she was pretty much the only candidate. Next week’s episode should be the last one…I’m really interested to see how things will end. I really hope it’s not some weird ending where Magata also kills herself for some philosophical reason, though. I guess my hope would be a final intellectual battle between Saikawa and Magata to end it all. Author marthaurionPosted on December 11, 2015 Categories Subete ga F ni NaruTags everything becomes f, perfect insiderLeave a comment on Subete ga F ni Naru Episode 10: The culprit is here! Subete ga F ni Naru Episode 9: The culprit! So it turns out to be theory 2, after all. I mentioned last week that there were two main online theories, both involving Magata’s child, that made sense. I’m seeing that there is some original content for this series, so I’m starting to have some doubts about the legitimacy of these theories, but they were still interesting to read. Anyway, assuming Saikawa isn’t horribly wrong, the culprit seems to have finally been revealed. It’s a pretty good final twist, where Moe almost gets the right answer by getting to one of the online theories. Now, all that remains are the motive and the rest of the cover-up. I guess it’s possible that Magata was simply hiding her death to be free of her crime, but it can’t just be that, right? I’d expect a character with potentially seven personalities to come up with better reasons than that. Also, where has Magata been up to now? Is it as easy as saying that she’s been hiding in some unknown location on the island? Seems unlikely. The more logical conclusion is that she’s masquerading as someone in plain sight, her sister being the most likely candidate. Well, we should see next week, right? Author marthaurionPosted on December 4, 2015 Categories Subete ga F ni NaruTags perfect insiderLeave a comment on Subete ga F ni Naru Episode 9: The culprit! MOE WHY DO YOU DO THIS? I guess we can only make speculations about what Saikawa managed to figure out during the blackout. From his weird mental images, it seemed like he was focusing pretty hard on the bit about Magata’s sister…that’s a bit of a disconnect for me since I’ve already ruled her out. The other bit was about gloves…perhaps a way for Magata to hide her true fingerprints? I can’t really think of another reason that would be important. And what exactly is going on with those ostriches? That final scene was pretty interesting, though. It makes the daughter theory seem much more promising because it shows someone standing in the locked room of toys. However, the figure shown seemed to be dressed in male clothing…a son, perhaps? I’ve seen two differing theories proposed, though. 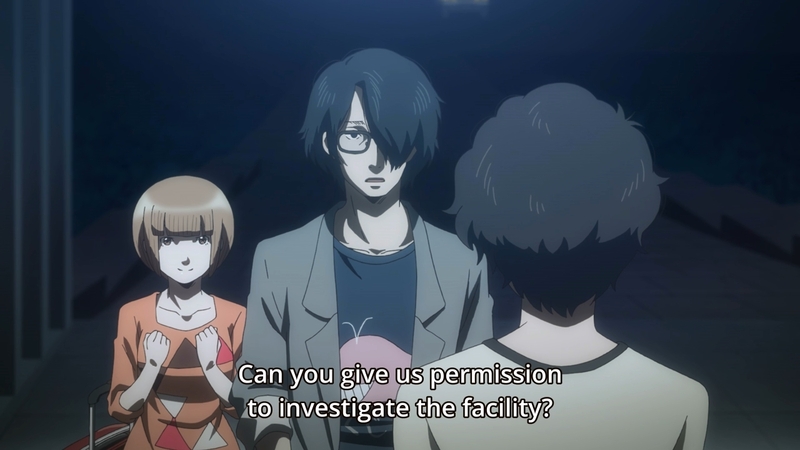 Some say that Magata was killed by the child who is roaming around on the island now as the “perfect insider”. 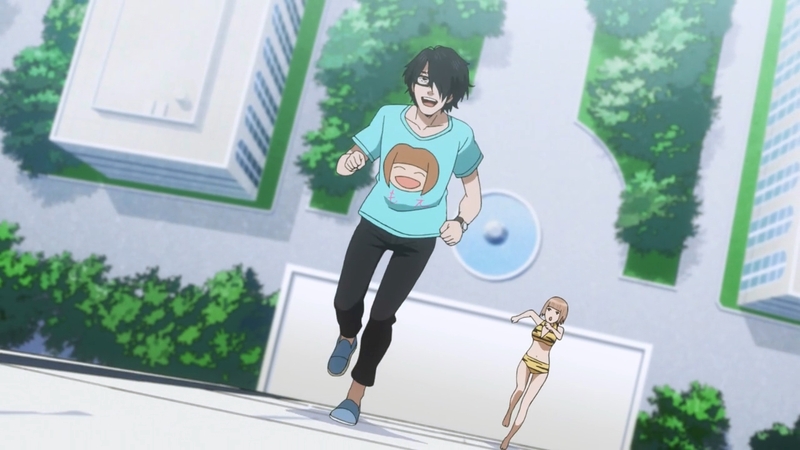 Others believe that Magata is the insider, disguising the child as herself. I think both theories are pretty interesting, but I lean more towards the child as the culprit. Subete ga F ni Naru Episode 7: Engrish, boys! While I give the voice actors credit for mostly correct pronunciation, their accents were still pretty heavy, which made that entire English scene (which was about half the episode) very painful to hear. I definitely had a hard time paying attention to it…it took way too long. That being said, the key takeaway for me was that I couldn’t find myself suspecting the sister. Sure she had potential motive in the form of jealousy, but I find it hard to pin the murder on her given the way she talks about her sister. Author marthaurionPosted on November 20, 2015 Categories Subete ga F ni NaruTags perfect insiderLeave a comment on Subete ga F ni Naru Episode 7: Engrish, boys! Subete ga F ni Naru Episode 6: The culprit? This week’s episode was a bit slow at the start as the characters mused about the current state of the mystery, but it ramped up pretty hard in the second half. I’ll admit that I didn’t notice the elevator change during the blackout, but I saw that a few people online did. The immediate reaction of the characters is that the killer called the elevator to the roof, but I guess I’ve been wondering why the killer couldn’t have used it to get to the roof. We’re assuming that the killer would have had to quickly kill the director, right? The last part of the episode is pretty intriguing, isn’t it? Does “everything is F” really mean “everything is fifteen”? Does that mean that the fifteenth year was always intended to be a turning point for Magata? Or is it just meant to signify the murder of her parents? Also, I didn’t really get too much information from the flashback of the murder fifteen years ago. 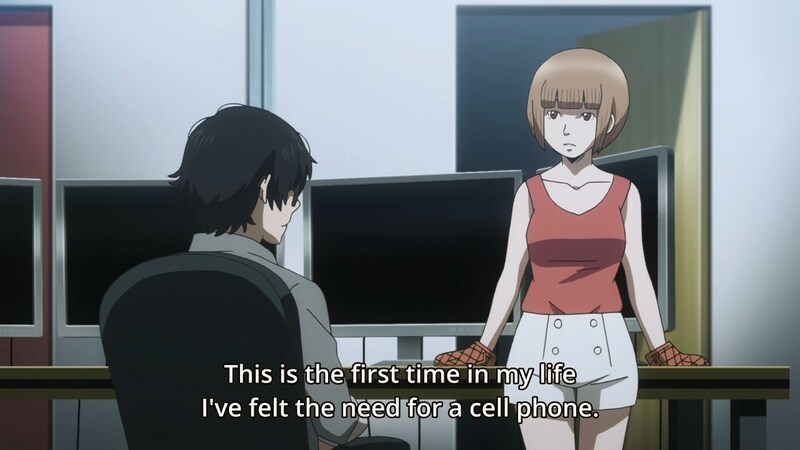 The only thing that stood out to me was that the director was actually holding on to Magata when she stabbed her father, which begs the question of who was actually in control of the knife when that happened. And if I’m asking this question, why wouldn’t the director’s wife? Doesn’t that seem odd? Author marthaurionPosted on November 13, 2015 Categories Subete ga F ni NaruTags perfect insiderLeave a comment on Subete ga F ni Naru Episode 6: The culprit? Subete ga F ni Naru Episode 5: The culprit? From this week’s episode, it looks like our narrator so far has been the dead director. Is that supposed to mean something? Am I supposed to guess that the director may have faked his death and be the culprit all along? I’ve always held that the order of death is the most important determinant of suspicion, though, which makes Magata the most suspicious. This week’s episode certainly didn’t help by showing her buying the knife. 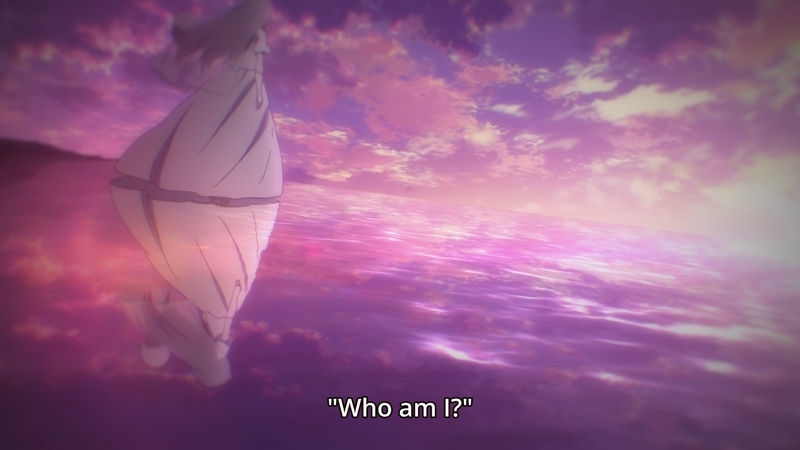 I really hope that the answer isn’t so simple, though…there’s a high chance that her personalities will just get blamed, which is a pretty lame ending. This week’s episode also brought along another one of the professor’s philosophical talks. While I can somewhat relate to what he says about being chained down, I find his statements about Magata’s multiple personalities strange. Transitioning from statements about chains to statements about love and ethics is valid to me because love and ethics are restricting concepts that are imposed upon us as humans, but I disagree with calling them a compensation for something we’re lacking. Granted, my knowledge of philosophy isn’t exactly extensive, so I’d be glad to discuss this topic further…arguments of the human mind are always fun. Author marthaurionPosted on November 6, 2015 Categories Subete ga F ni NaruTags perfect insiderLeave a comment on Subete ga F ni Naru Episode 5: The culprit? I think this week’s episode is probably the most interesting one so far…I really enjoyed watching everyone investigate the crime scene and make their theories. I don’t have a specific suspect of my own just yet, but I’ve been reading the opinions of others. 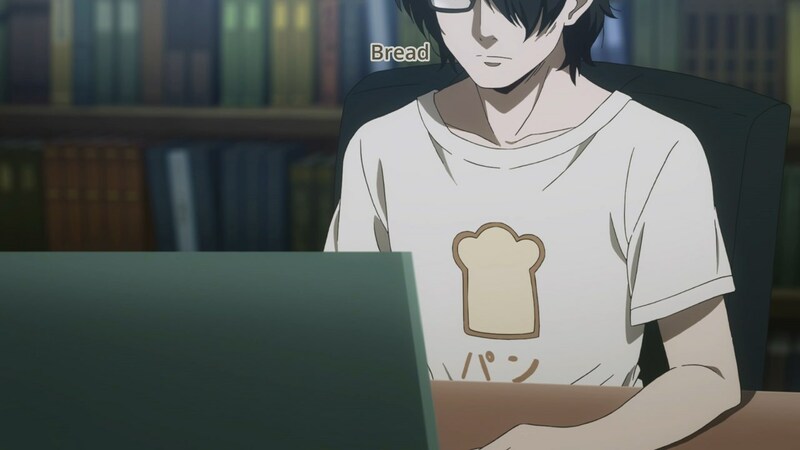 There is an online theory that the murders are being done by Magata’s child, conceived from the man that we keep seeing at the end of each episode. The strange things in Magata’s room, such as the TV and the toys, would certainly support that theory. It also explains the “Michiru” in the messages from Magata’s personalities…perhaps that refers to the child and not the robot. The message also gives somewhat of a motive for this child…it seems like Magata was planning on leaving the child behind and the child could have killed her to gain its own freedom (the messages refers to Michiru as the “one who most wanted to leave”). But why kill the director? The helicopter was the way out. Didn’t want to risk being discovered if help was radioed in? The final piece of the puzzle that this theory doesn’t explain is Magata’s own parents. A child of Magata could not have possibly killed them, so how do they link in to the story? These speculations are getting more and more fun. I’m really looking forward to what comes next. 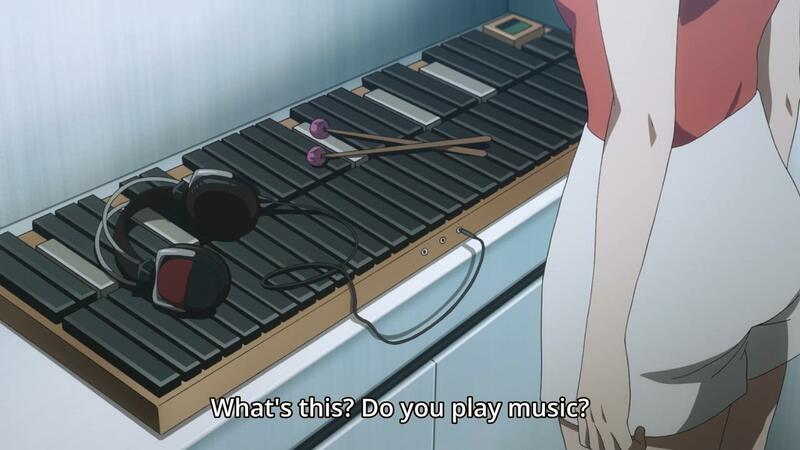 Subete ga F ni Naru Episode 3: Everyone knows what a marimba is! The murder gets more interesting this week…as I’ve said before, locked room murders tend to be hard to pull off, so we’ll see where things go. So far, I’m entertaining the same theory I had at the start of the series: that Magata Shiki has been dead long before Moe and Souhei ever got to the island and the person Moe was chatting with was a fake. The video chats seem too convenient as evidence and they could be easily faked, so I think they’re the weak link in the scenario. However, the fact that the director was murdered must mean that the murderer is still on the island. If the murderer was in the room when door was unlocked, then I don’t see any other way to exit unless the murderer was hiding in the cart under the dress. Hopefully they don’t do something cheap like “the murderer hacked the camera feed”, but Souhei’s comment about the OS being programmed specifically to run into an error seems pretty worrisome. 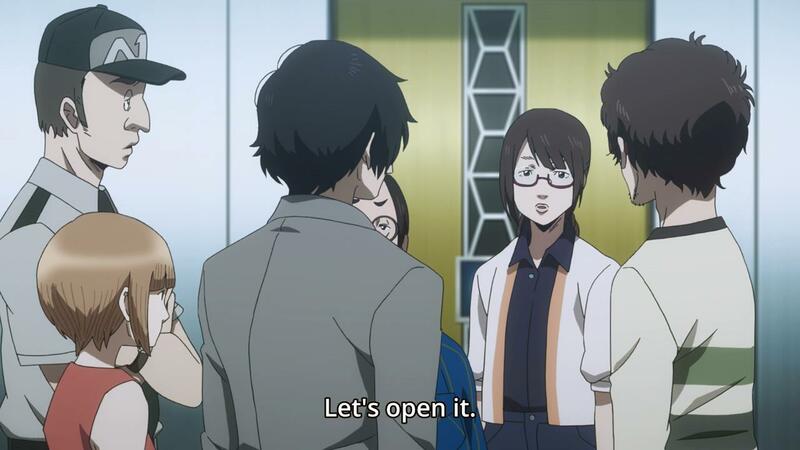 Also, these weird scenes at the end of the episode showing Magata with some unknown man must be relevant as well. What role does this man play in the murders? Author marthaurionPosted on October 23, 2015 Categories Subete ga F ni NaruTags perfect insider2 Comments on Subete ga F ni Naru Episode 3: Everyone knows what a marimba is! And things had seemed so peaceful up to now. The majority of this week’s episode seemed to just further introduce the main characters as a buildup to the reveal at the end. Introducing Moe as the clueless rich girl makes her character a bit more skeptical to me…is she just going to be helpful in the investigation from a resources standpoint? I don’t see how much she can contribute without basic common sense. I suppose I should start the speculations around the murder. It should largely depend on where the series is headed from here. If Magata is just the first of many deaths, then things become a bit more difficult. If the entire series is spent solving her murder, though, then I’m assuming it’s a standard locked-room mystery (one of the hardest to get right, in my opinion). First off, I find it very suspicious that much of the episode was spent emphasizing the fact that she never comes out and that no one has interaction with her (except Moe). This has to be important somehow. It makes it seem like she could be potentially dead longer than people might think. I’ll defer further speculation to next week, when I’m assuming everyone will examine the body and provide more details.